Early last week I finished a 5e update for G1: The Steading of the Hill Giant Chief. 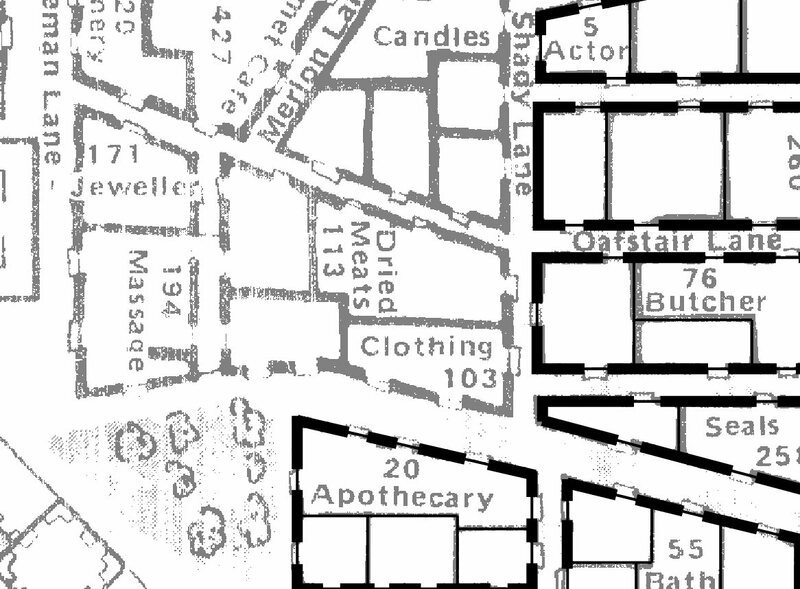 I used the Dungeon 197 restructure as a basis, incorporated the lovely full size maps from Mike Schley, and rebuilt it targeted for 5e players at 8th or 9th level as a Fantasy Grounds module. The players in my campaign are soon to be 6th level, so it will be a little while before they get to G1, but it is so easy and natural to include in the current story I am weaving, which is why I converted it. I hadn’t finished G1 when I started on another conversion project. I took on Judge’s Guild TARANTIS map 6 from the Wilderlands campaign setting and have a Fantasy Ground’s campaign map well underway. Tarantis Wilderlands campaign map coming alive with data! 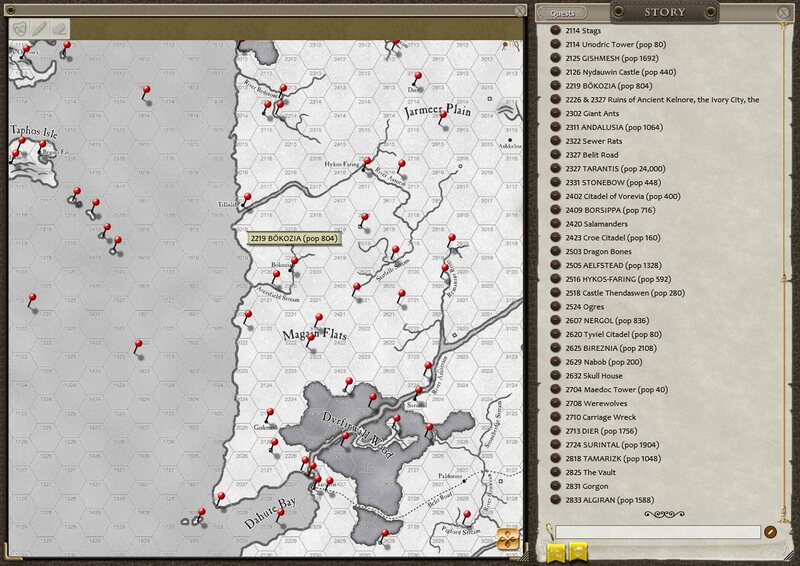 Map and data come from “Wilderlands of High Fantasy” by Necromancer Games 2005. At this point, I’d use Fantasy Grounds even if it were not for online gaming. It is an indispensable tool. With the aid of Fantasy Grounds, this Tarantis map is so many times more useful to me – I can hover a mouse over a location (the pins) and get a little info, or I can click the pin and get the full entry for the point of interest. I ran one Wilderlands campaign in the now hazy days of 1978 or 1979 – I got frustrated with how awkward and slow it was to get to information. 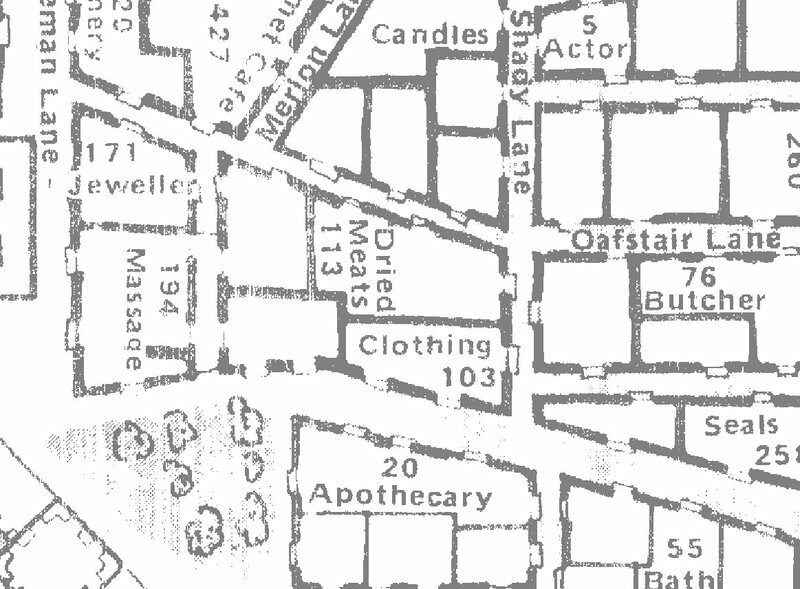 The map is on a 5-mile scale and you need to look things up quite frequently as a result. It was a big pain and with some regret I moved on to other campaigns at a larger scale. Well, Fantasy Ground totally destroys all of the disadvantages of the small map scale. The map comes alive with data and I am already starting to look forward to running a campaign set in Bob Bledsaw’s Wilderlands. As long as I was going completely insane with large scale projects, I took on another Judges Guild conversion. 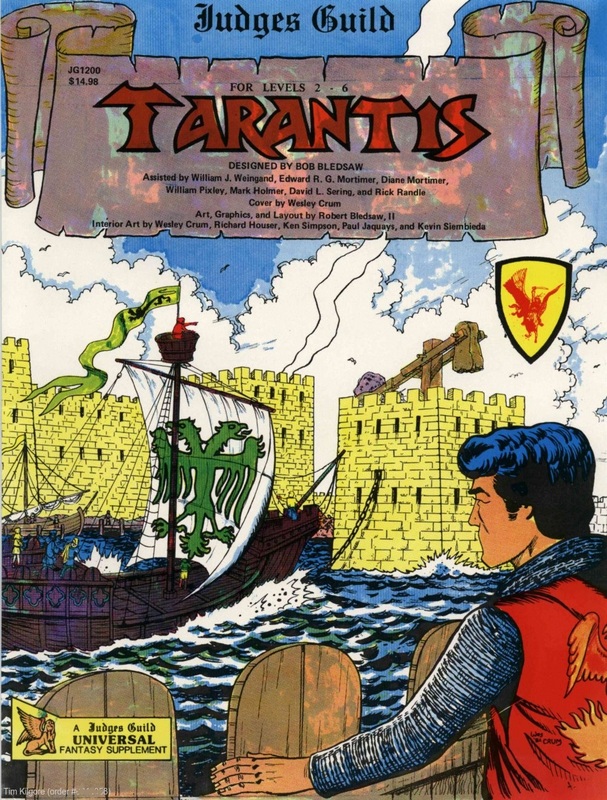 As it turns out, Judges Guild published their third City State-style installment in the form of TARANTIS (JG1200). I bought all of the Cities Products that Judges Guild released, but I did not get this one since I did not know it was a town. The overland map is not much use to me if I cannot present the crown jewel of the region which is, of course, the large city of Tarantis. The city acts as an excellent base of operation, the city itself being an adventure hook inferno, with places and people hinting at things to do. The city itself being an adventure hook inferno, with places and people hinting at things to do. 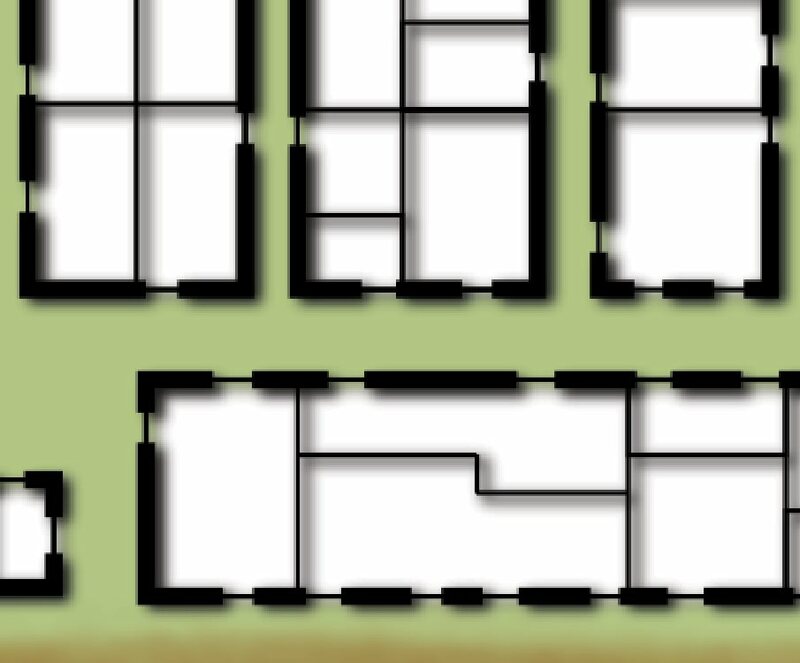 Because I am unhappy with the condition of the map, I have been working to convert the entire city into vector graphics. Vector graphics are cool because they scale smoothly from small to insanely large sizes. The most simple and obvious example of a vector graphic are the fonts that we use on computers – we size them, scale them, and tweak them all the time. Having the city map in vector form will allow me to manipulate the graphics with ease. Same area as before, but now you can see the vector graphics overlaid on the page. The stronger, darker areas have the outlines of buildings done. Fuzzy grey scale looks especially bad zoomed out this far. What will I do with it once I have converted the details to vectors? I will improve it. It will be absolutely true to the original vision, but it will be much more pleasant and pleasing to work with. Amazing what a little color and some shadowing can do! I have now spent quite a bit of time on Bledsaw’s original map of Tarantis. What he did was quite an achievement for the time frame. And this is the end of his run, the last big city that Judges Guild would release. Several years before Tarantis, another Judges Guild product named Tegel Manor really set the standard for what was expected of a professional adventure map. Mr. Bledsaw’s materials still hold up today and they influenced a formative RPG industry. I will share a Judges Guild story sometime in the near future.